Your company can benefit from the use of a VPN to accommodate the needs of remote employees and distant offices. An IP based Virtual Private Network (VPN) allows you to connect a number of sites, remote workers etc... using secure encrypted paths through the public Internet. 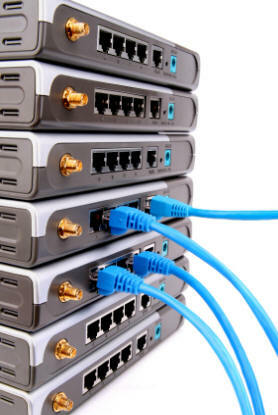 VPNs provide a cost effective alternative to traditional dedicated circuits. Case studies have shown that VPNs can deliver significant cost savings over previously used systems - whether dedicated leased lines, dial-up ISDN etc. With a secure encrypted VPN, your data will remain secure as it passes across the public networks. With VPNs you can provide access to your company intranet for remote workers, accessing via the public Internet as if they were directly connected to the local network. Your users can use any access connection to the Internet - some may use a dedicated circuit, others may have ADSL, some mobile workers may use dial-up or wireless access points on the move. All that is required is the appropriate client access software to create a virtual path. Will allow secure password access to the server LAN of choice. Multiple simultaneous users can be accommodated. Will effectively bond two or more sites together over the Internet via an encrypted link.